Regular chocolate chips are ok, but these cool new Smoked Chocolate Chips from Hot Cakes Molten Chocolate Cakery sound mighty delicious. 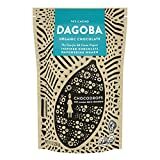 These unique gourmet confections not only appeal to the sweet tooth, but your savory one as well. Each chip is made from organic semi-sweet chocolate that is cold-smoked over alder wood for over 10 hours to give them a unique smoky flavor. Perfect for cookies, hot cocoa, cupcakes, s'mores, moles sauces, and more. Yum. 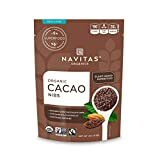 Navitas Organics Cacao Nibs, 4 oz.